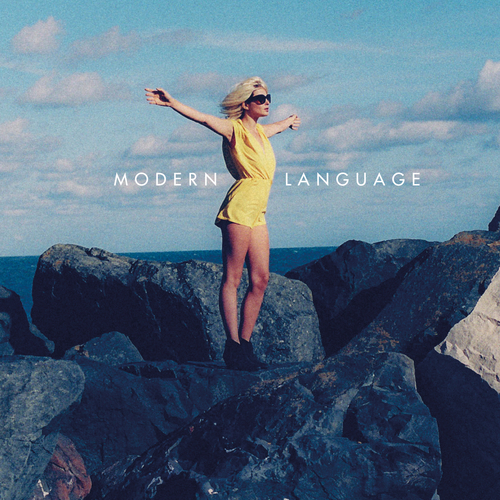 Postcards From Jeff release their debut album Modern Language. An elegy for cinema revealing stolen glimpses of another world, another life. Each track a cinematic snapshot, shifting and shimmering in a flickering film light, capturing the timeless claustrophobia and psychodramas of small town suburbia. A soundtrack to a world wrapped in a rich language of isolation, of disconnection and delicious melancholia, where characters reach out to connect but miscommunicate with every step, staring into the darkness from the tree lined streets, out across the windswept moors and epic cloudscapes to a coming storm. This is brooding lustrous indie pop from a Manchester newcomer driving a line somewhere between the dreaminess of Mercury Rev and the vastness of Sigur Ros, by way of kindred spirits The National, Guided By Voices or the exultant cinematic reach of a band like M83. It's ten killer tracks are built from simple and evocative foundations into Lynchian epics of mood and wonder, combining songs with soundscapes and the electronic with the analogue to create a world that's as much Americana as it is Manchester and as much about film as it is about music. The albums opening single, Suburban Girl, projects itself into this half glimpsed cinematic universe, where falling for movie characters, getting lost in their world and struggling to find your way back is more powerful than real life. It's a song for Laura Palmer, a song for a faded small town weirdness, it's quiet desperation's stirred up through an imaginary cult classic, better than the real thing. 2014 saw the release of Postcards From Jeff's debut self-titled EP which was accompanied by two dark and dreamlike videos made in collaboration with award winning filmmaker Steve Glashier. This year, beginning with Suburban Girl, Glashier is onboard to direct all three of the debut albums accompanying videos, creating not only the cinematic snapshots that the songs deserve but turning all three into one single narrative, a short film within a film, following the complexities, themes and imagery of the record and delivering a piece of cinema that can truly turn Modern Language into the soundtrack it evokes.